Pennsylvania Street Gardens: Spring has sprung! Last weekend Matt and I headed to the garden to get some plants planted and assess the weed situation. 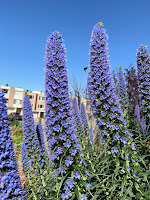 The Echiums are flowering in their gorgeous blue now - go check 'em out! The bees love them. Wow - have the weeds gone crazy at PG! Some of the pathways are really tricky to get through because weeds have almost cut them off. We got to work and cleared one particularly bad area, removing 8 huge tubtrugs of weeds there alone. You can see the difference in the before and after picture. 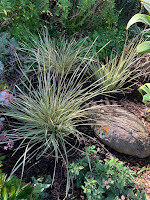 Matt planted three Lomandra longifolia "Platinum Beauty" in the middle front bed, and as very drought tolerant plants, I'm hopeful they will do well there. This is a new genus for us, and while it looks like a grass it's actually not. Hm, how does that work? 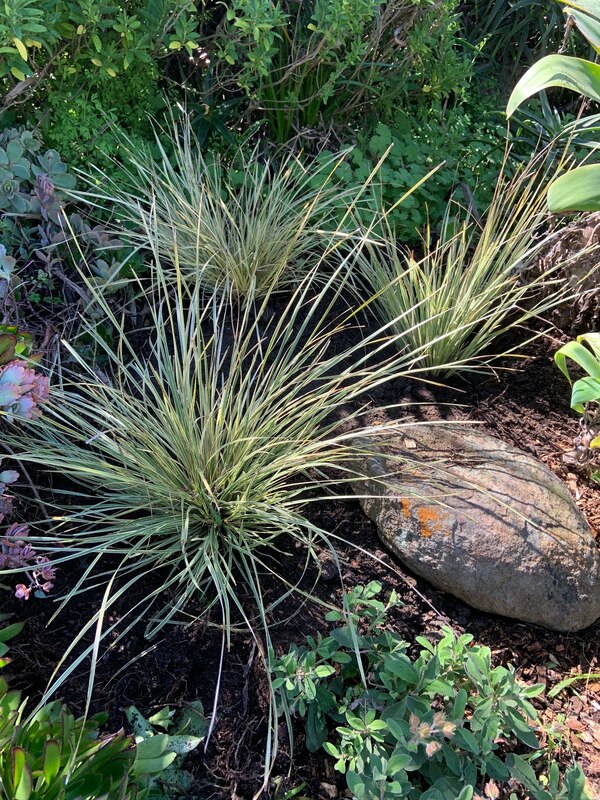 According to San Marcos Growers, "Matt Rush is a common name for Lomandra, a genus with 50 species of tufted dioecious perennial herbs with long narrow blade-like leaves that arise from a central stemless base (acaulescent) and have thick woody rhizomes and fibrous roots. 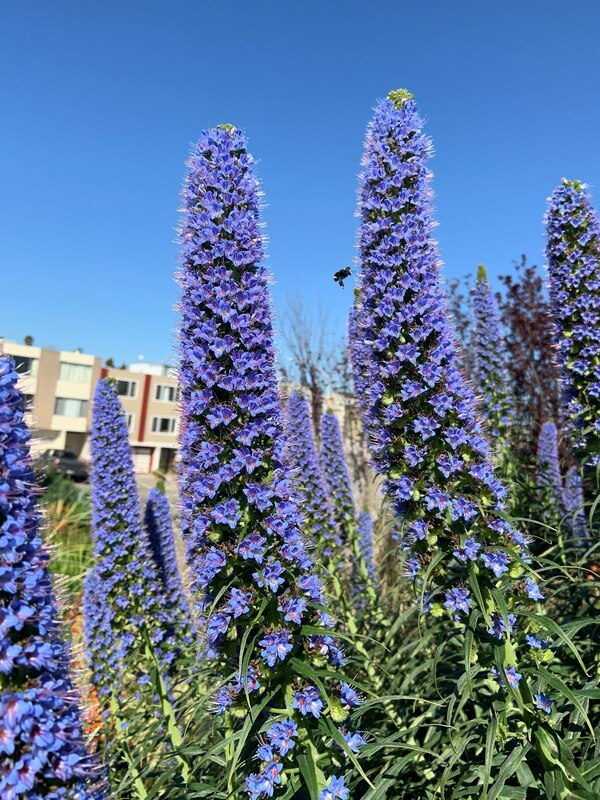 Flower inflorescences are cymes, panicles or spikes with male and female flowers on separate plants with both sexes of flowers looking fairly similar." Check out the before an after pics, and join us next weekend for our monthly volunteer day: let's get rid of some weeds!